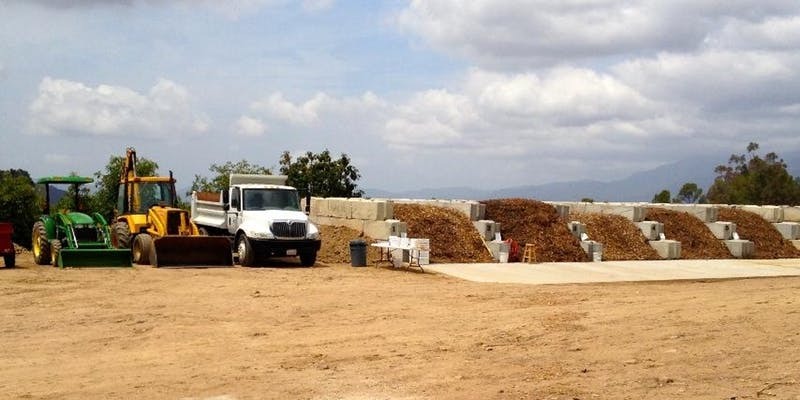 The workshop will include a series of presentations by nationally recognized experts in on-farm composting, habitat preservation, and farm planning. There will be hands-on demonstrations and ample time for open discussion among the participants. Following the presentations, the group will travel in their personal vehicles to the Veteran Compost demonstration site which features aerated compost systems for all scales of operation. Light refreshments and lunch will be provided. Photo by Edwin Remsberg ANNAPOLIS, MD (October 24, 2018) — Due to a late harvest and saturated soil conditions, the Maryland Department of Agriculture has extended the November 5 planting deadline by one week for farmers who have signed up to plant cover crops this fall with the Maryland Agricultural Water Quality Cost-Share (MACS) Program. 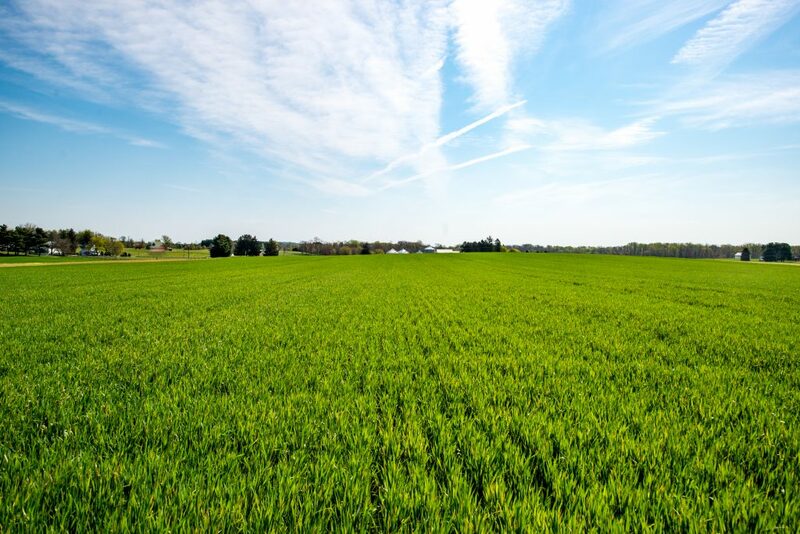 Farmers now have until November 12 to plant qualifying cover crops of rye, wheat and triticale on their fields to help control soil erosion and recover unused plant nutrients remaining on their fields. The extension is only available to farmers who use the following planting methods: no till, conventional, or broadcast with light, minimum or vertical tillage. With the extension, farmers must certify their cover crop with their local soil conservation district within one week of planting and no later than November 19 in order to be reimbursed for associated seed, labor, and equipment costs. “Extending the planting deadline allows farmers enrolled our popular Cover Crop Program to plant more acres of protective cover crops on their fields this fall to control soil erosion, reduce nutrient runoff, build healthy soils, and protect water quality in streams, rivers and the Chesapeake Bay,” said Hans Schmidt, the department’s Assistant Secretary for Resource Conservation. “Importantly, the extended forecast calls for mild temperatures which should allow for germination to take place,” he said. Cover crops are cereal grains that grow in cool weather. They help slow down rainwater runoff during the winter, when the soil would otherwise be exposed, while recycling any nutrients remaining in the soil from the previous summer crop. They are a key feature in Maryland’s efforts to reduce the amount of nutrients entering the Bay. Maryland’s Cover Crop program is funded by the Chesapeake Bay Restoration Fund and the Chesapeake and Atlantic Coastal Bays Trust Fund. For more information, farmers should contact their local soil conservation district or the Maryland Agricultural Water Quality Cost-Share Program at 410-841-5864. 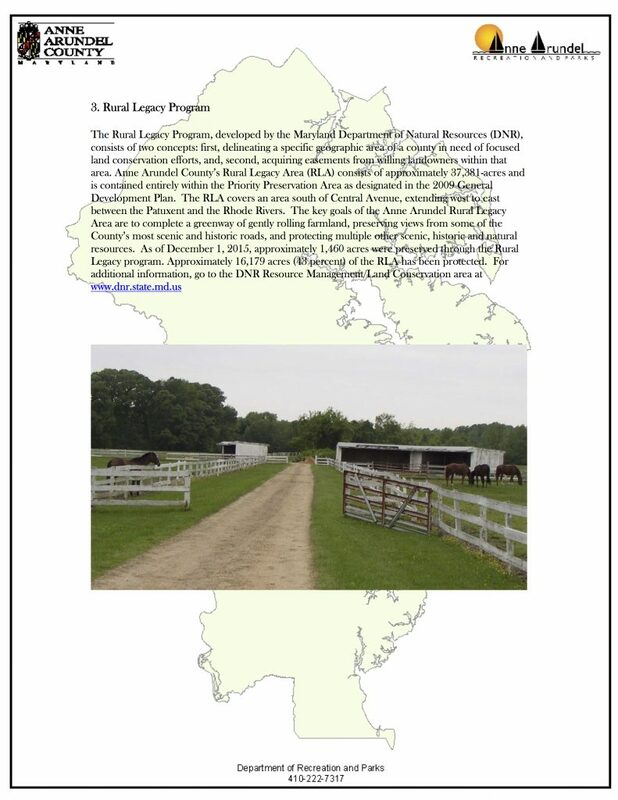 Anne Arundel County provides opportunities to landowners through an Agricultural Preservation Easement Program that will ensure your land is available for the next generation. Landowners interested in preserving their land from development may qualify for one or more programs offered through Anne Arundel County in partnership with the Maryland Department of Agriculture and Department of Natural Resources. Deadline to apply for the Anne Arundel County Program is November 1. To hear more about the programs call (410) 222-7317 or click here. Landowners interested in preserving their land from development may qualify for one or more programs offered through Anne Arundel County in partnership with the Maryland Department of Agriculture and Department of Natural Resources. The most recent offers made through these programs ranged from $6,000 to $8,000 per acre. 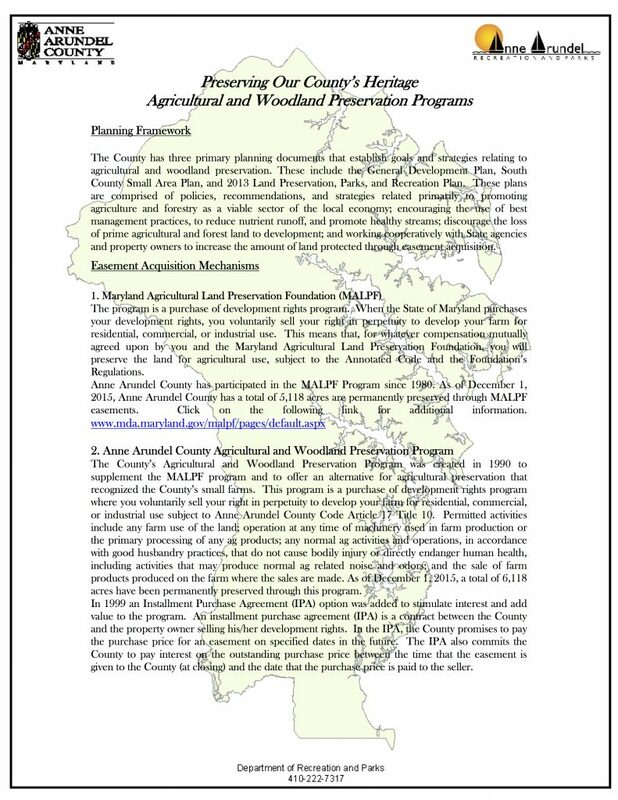 The County has three primary planning documents that establish goals and strategies relating to agricultural and woodland preservation. These include the General Development Plan, South County Small Area Plan, and Land Preservation, Parks, and Recreation Plan. These plans are comprised of policies, recommendations, and strategies related primarily to promoting agriculture and forestry as a viable sector of the local economy; encouraging the use of best management practices, to reduce nutrient runoff, and promote healthy streams; discourage the loss of prime agricultural and forest land to development; and working cooperatively with State agencies and property owners to increase the amount of land protected through easement acquisition.